Theis is double qualified lawyer in Germany and Latvia and advises foreign and local business in the Baltic States since 2000. His work is focused on corporate law, financial services, maritime and arbitration matters, with a particular interest in cross-border transactions. 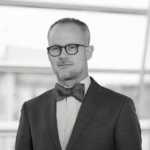 He is a visiting lecturer in intellectual property law at Riga Graduate School of Law, and leads the organizing team of the annual conference DIS-Baltic Arbitration Days.